These problems can appear quite frequently even under normal circumstances and you don’t have to panic every time you see your dog having some reactions due to something they ate. 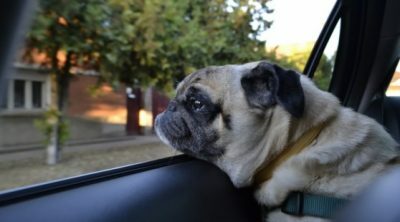 This guide will talk about diarrhea in dogs, what can cause it and when do you actually need to worry and take measures. 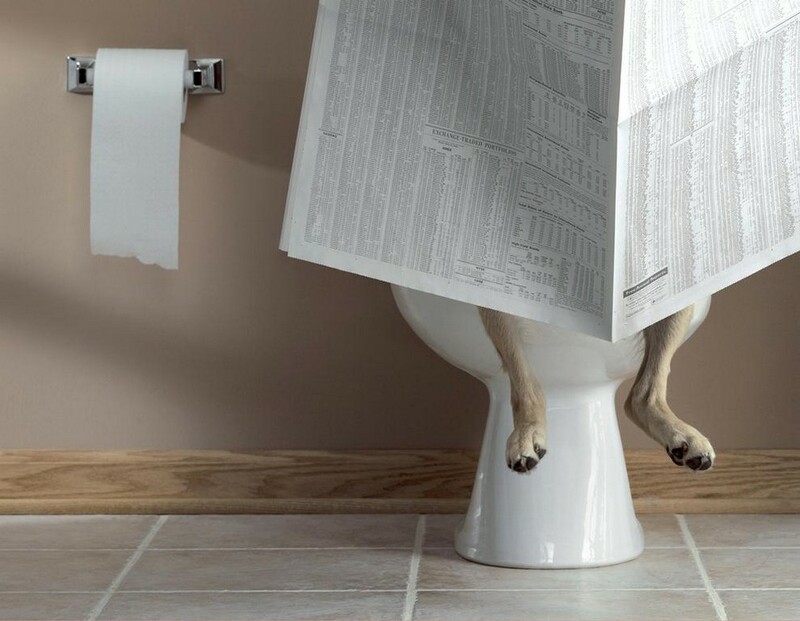 First of all there are two types of diarrhea: acute and chronic, each of them with different causes and solutions so let us take a look at the most common issues and how to treat each one. Acute diarrhea can be caused by gastroenteritis which is an inflammation of the gastro-intestinal system and if they eat something they shouldn’t (dead rats) then this might lead to these problems. Hemorrhagic gastroenteritis is another form of the previous condition and this is really serious because the dehydration can do a lot of harm. Other causes for diarrhea can be worms, liver or kidney diseases, pancreatitis and even some neurologic diseases can lead to this symptom. 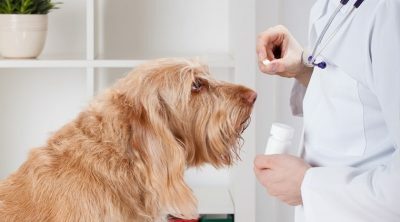 If your dog is under medication, taking things such as antibiotics or anti-inflammatories, these can cause diarrhea and if you suspect this to be the case read the prescription once again and see the vet if these problems are accompanies by vomiting or other symptoms. 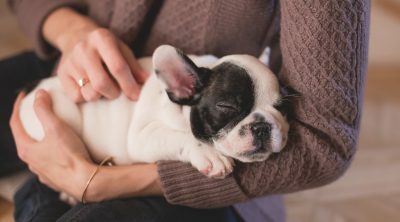 A diarrhea is considered chronic when it lasts for more than a few days and this can lead to the loss of weight, of appetite and other symptoms, so a veterinarian has to be visited to determine the proper cause and course of action and before that you should take into consideration to give pet first aid if required.. Among the causes that can lead to these are kidney or liver diseases, cancer, inflammatory bowel disease, food intolerance, diabetes, chronic pancreatitis, hypoadrenocortisism, infections of a bacterial or viral kind, ulcer and other serious diseases of this kind, so do not take it lightly. 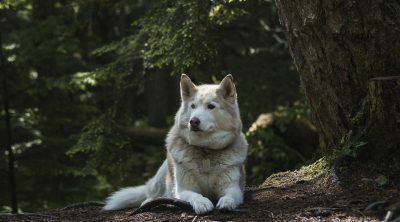 If you have a dog that is older than seven years then the effort required to cope with the potential dehydration is greater so there is a higher chance that this can lead to some other serious illnesses and it has to be properly addressed. The most important thing you have to do if you see this symptom is to look for other possible ones and think what could cause them. You need to allow the digestive system to rest for a whole day and only afterwards introduce new food like a boiled chicken or some white rice with care to see if the problem is resolved then. If diarrhea is accompanied by weight loss, poor appetite, vomiting and overall lethargy then it is probably caused by something more than a simple indigestion so take proper action against it. 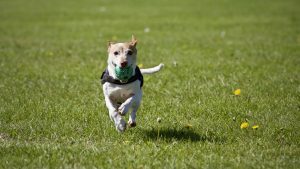 Not every diarrhea is a reason to panic and if you see that the dog is still as bright and joyous as he usually is then you don’t have to suspect some more serious problems. If after 48 hours of supervision things go back to normal then it was probably just something that upset his stomach and if there are no other signs then you needn’t worry more than is needed. 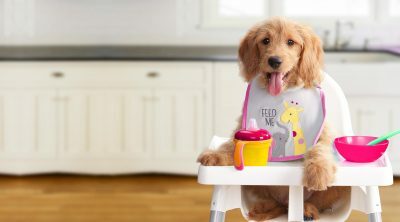 There are some things that you can do at home to make the pet feel better in most cases and the first thing is to stop him from eating anything else. The intestines need to recover and after 24 hours things should calm down but in the meantime only allow your dog to drink water. The first diet needs to be as bland as you can with some rice and chicken. Feed this to the dog for the first few days and gradually revert back to the normal diet. Some probiotics will help rebuild the intestine flora but don’t use yoghurts or and human medication because their effect will be quite different and can do a lot of harm. 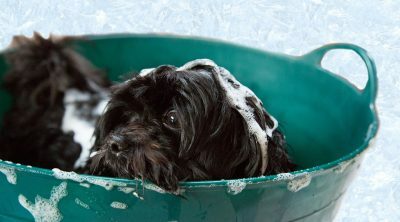 The most important thing to remember is that things that could have caused the diarrhea such as coccidia, E.coli or giardia can transmit to humans too, so anytime this happens you need to carefully clean the places which can be infected. Start with your hand and take care of the carpets as well.